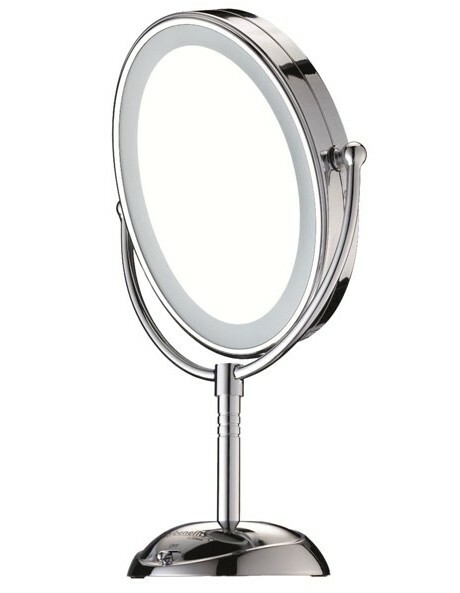 Double-sided mirror with LED bulbs for everyday use, expert makeup, skin care & contact lens application. This elegant mirror has lifetime energy saving LED bulbs which never need replacing & consumes 70% less energy than regular bulbs. * & with 1x or 7x magnification, it is the perfect companion for clarity, making make-up & grooming regimes more precise than ever.